So I was poking around under my 97 Ranger and found this: Pretty obviousley not a good thing but what exactly is it? How urgent is it that it be fixed and how long would you guess it can be driven like this? Probably not much longer when it comes to the last photo, you can see the pin is almost worn through. New mounts and bushings are available. Looks like the mount may still be OK, but the bolt will have to be replaced too. Last edited by Jeff R 1; 02-24-2019 at 03:11 PM. 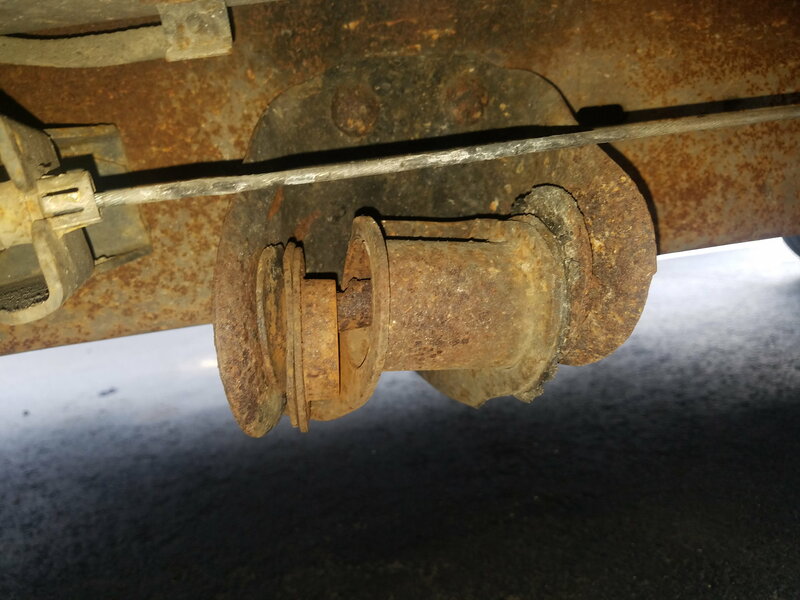 So what exactly is this bushing holding, would this be called the forward leaf spring? 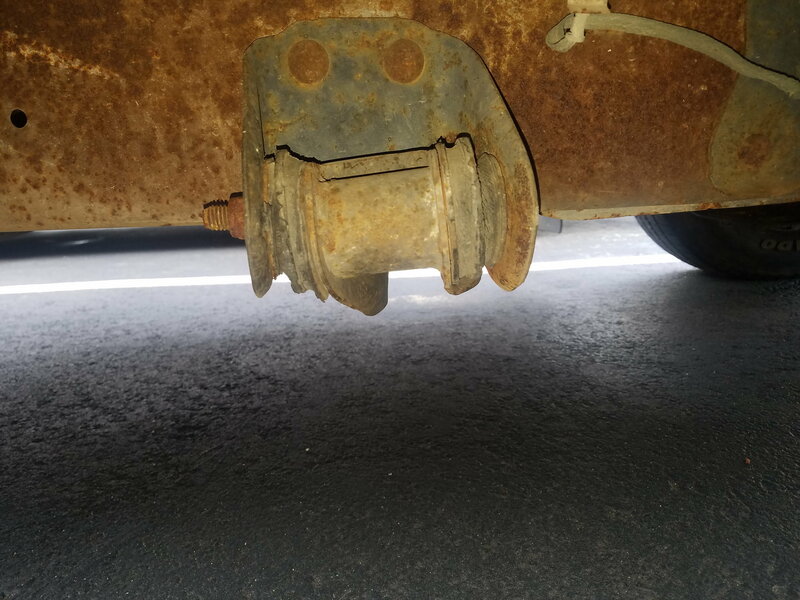 The bushing is holding the leaf spring on the front shackle and is held in place with a bolt. The bolt in your photo is weakened where it's worn thin, so it can't be re-used. What's missing is the rubber that the actual bushing is made from, it's pretty much gone. Not so much the forward leaf spring, but the forward mount. What's the rear shackle look like, that's usually the one that fails, fails, not the front ? 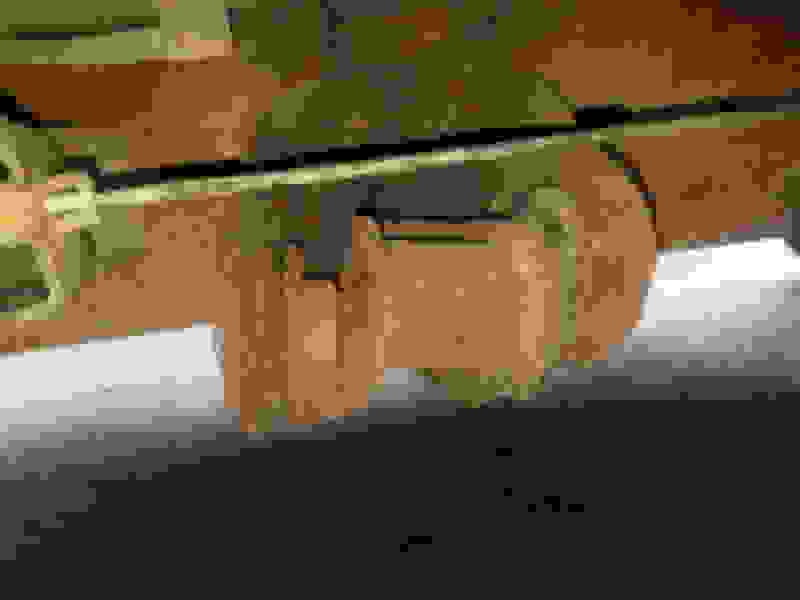 Sometimes the frame on the rear where the shackle rusts away too. 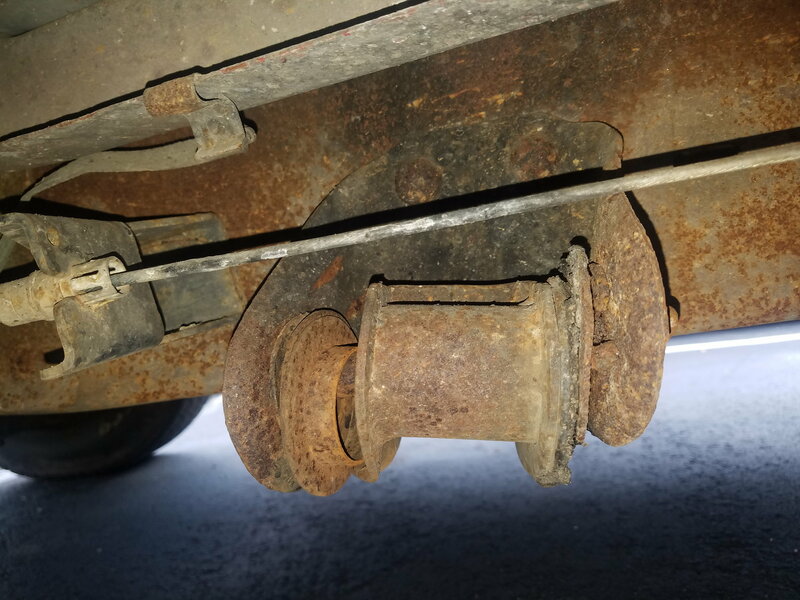 It's a big job to replace the bushing, the entire leaf spring (on each side if it's gone too) has to be removed so the outer steal part of the original bushing can be pressed out on a hydraulic press. The press is also used to insert the new bushing. 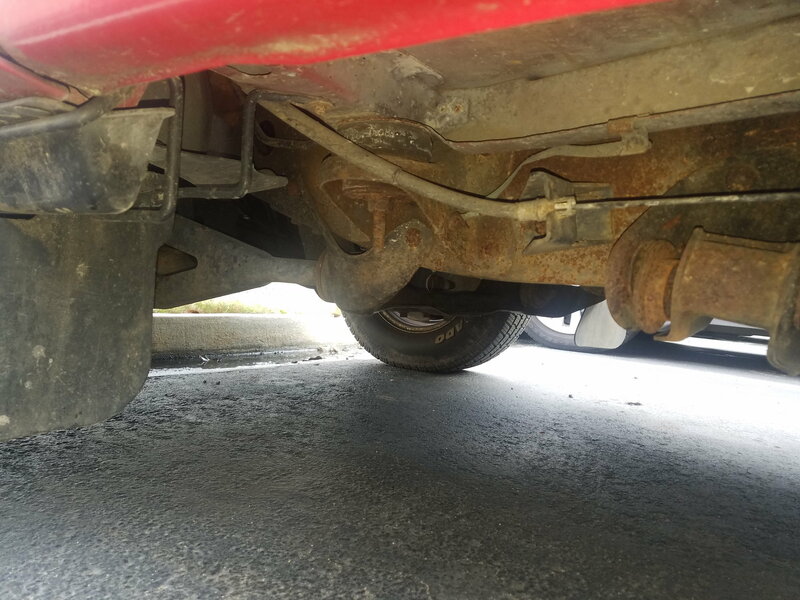 Once the new bushings are pressed in and the springs are mounted with the new bolts, the truck is let standing in it's static position with nothing in the bed. Then the bolts are tightened up as to correctly pre-load the rubber in the new bushings. Last edited by Jeff R 1; 02-24-2019 at 03:34 PM. Looks like the transmission cross member mounts to me. You have any suggestions for any good how to videos or posts on how such a procedure is conducted? OK, yes trans mount, it's much different then mine. Ok so I'm considering these two replacements: https://www.ebay.com/i/151444438467?chn=ps Because it seems fairly easy, and straight forward to install and it's not breaking the bank. The second consideration is this: https://www.tascaparts.com/oem-parts...ort-e9tz6a023e I'm not sure the this is actually the right part, but it looks like it is and on another forum it was stated it was used for such a purpose. It is also not stated if the bolts would come with it or not. slowing down... down hills... does yours do this?